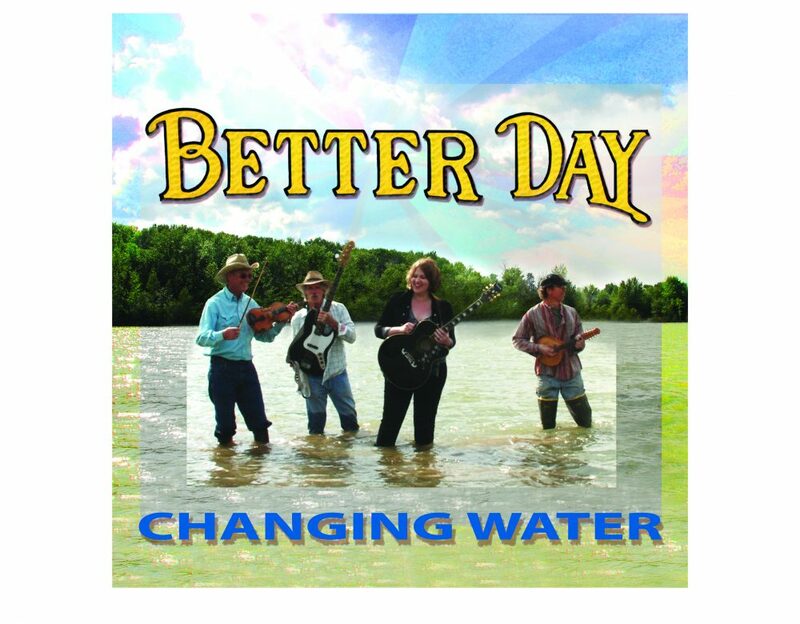 The second Better Day album, a great mashup of new songs finished in 2011. The name “Changing Water” refers to something that happens continually in this part of Eastern Washington State, the moving of irrigation water across the many thousands of acres of farm land in this area. In her song “Changing Water” Leah uses that as a metaphor for life’s changes with powerful images of storms, coyotes in the night and moving on. Bob reminisces about growing up in Virginia in the song “Sweet Virginia” and not having the time to play more music in “Ain’t No Time”. Billy warms his heart and sends his blues away on a “Sunny Day”. Sam puts together images of youth on “Jump The Puddle” and adds some sweet Dobro licks on the whole album. “Train To Home” is a song that he wrote way back in the mid 1970s and Better Day has ended a lot of sets with it. After hitch hiking down from Canada he wrote this song sitting on a bench in the old bus station in downtown Seattle. There are many more gems on this album.